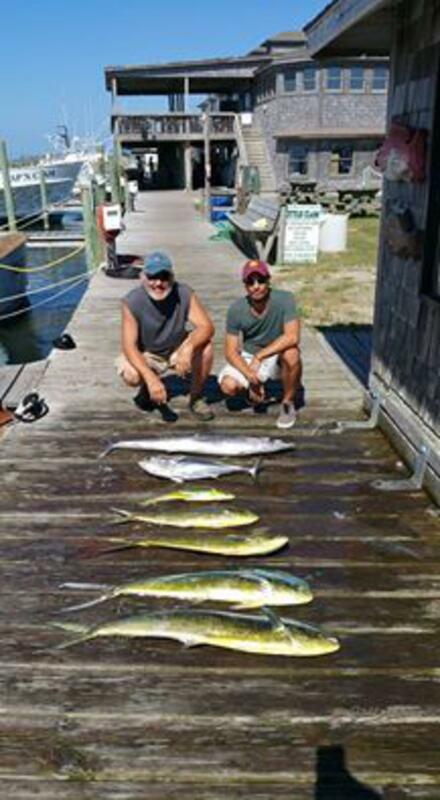 Hatteras Fishing Report for 8/15/2016-- If you are gonna leave late you better come in early. Our group today wanted to leave at 8:30 and come back at 2. We were able to scrap out a few fish for limited time. The current is still screaming but there were some wahoo bites up to the east. Hopefully the tide falls out to the southern tomorrow. Still need a couple people for a make up charter Thursday. Give us a call if you are interested.